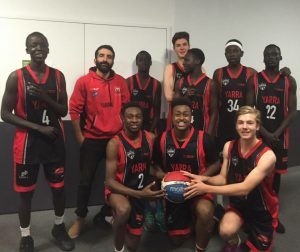 The Yarra Wildbeasts departed the Fitzroy Town Hall this morning for the 2016 AUSTRALIAN Sth Sudanese basketball tournament commencing tomorrow in Werribee . With over 50 teams entered Geeks, Burnsey , Nima , Ketchy , Cashy, my good self took 50 kids for 5 teams including a reigning open men’s team including Will Deng just back from college USA, an 18 and 2x 16 boys teams plus a girls team. I’ll post results and pics of this great program of ministry kids playing ball.